In addressing the raw materials shortage felt by the global community, politicians and researchers are expected to gather at a conference organized by the European Cooperation in Science and Technology (COST). The conference, held at the Delft University of Technology (TU Delft), aims to find solutions to declines in limited natural resources, which have led to shortages in materials used by a huge range of industries, from manufacturing to medicine. Problems from material shortages - and consequently, higher raw materials costs - are compounded by rising global population rates. 'We're bringing together policymakers and scientists from various disciplines to analyse the problem of global scarcity of materials and to explore potential solutions," said Dr. Erik Offerman, researcher at TU Delft. Offerman suggests that strategic sourcing and effective resource management is integral to maintain a sustainable supply of raw materials. "The search for new materials that are less dependent on these critical raw materials, better recycling possibilities, sustainable mining and design for the circular economy are thus a matter of real urgency for Western countries and it's also a great opportunity for our economy and our environment," Offerman said. One material shortage felt in Europe includes timber in the United Kingdom, The Economist reported. The country's Forestry Commission reported sawn timber production in the domestic forestry industry rose 22 percent from 2008 and 2012. However, this rate of growth has slowed due to a deficit in commercial investment in processing facilities, resulting in a timber production loss of 40 percent. The effects of the lack of investment in the forestry industry has led to a timber shortage felt by other sectors of the U.K. economy, including the real estate and construction industries. These segments face pressure to obtain local timber since demand for housing has increased. 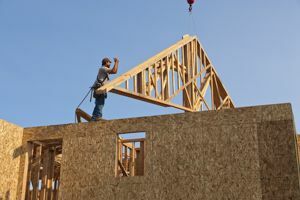 The Structural Timber Association said 30 percent of new residential construction in England is projected to have timber frames and this percentage is higher for Scotland with 72 percent of houses built with timber. Another reason for the shortage stems from new regulations requiring companies to utilize materials that produce low carbon emissions, leading to more demand for locally sourced timber. With the conference putting a spotlight on global materials shortages, companies are likely to change their sourcing strategy in the face of rising demand for a dwindling supply of materials.